Indian markets are at record highs. What is driving this rally? Is there more steam left in this rally, or will the party be over soon? It is not just Indian markets—what is driving Indian markets is also driving other markets. There are massive amounts of money around, and it needs to go somewhere, and it is going into the markets. India is not the only one going through the roof—look at Europe, America. The central banks have made a lot of free money available—Mr (Donald) Trump has told everyone that everything is going to be OK, and he is come up with some policies which people think will be good such as cutting taxes and building infrastructure… That is why markets in many countries are going up—I think the party will end soon, but I am very, very bad at timing it. Are Indian markets expensive at this point? Why or why not? I don’t know the Indian valuations currently. The problem is when the markets start going down, it doesn’t matter if they are cheap, or expensive—all of them will go down. I don’t know of anything that is really cheap in India. When and by how much do you see an earnings recovery happening for Indian companies? That is one of the problems—an earnings recovery has not taken place and the markets are going up. This is a problem globally because there is a lot of free money and easy money, and then there is optimism about tax cuts in the US—that is the worry for me—that all of this is not real and is based on free money. Free money, while it lasts, is wonderful, but it always come to an end. Where does India stand in your EM/Asia preference? Why? India is not the preferred market for me—it is at an all-time high. I’ve told you before that I don’t prefer to buy when markets are at an all-time high. I don’t want to get on a moving train—when you jump onto it, you’ll get hurt. You won’t get hurt if you buy something that is ignored and sitting in the corner—you’ll not make any money for a while, but you won’t get hurt. Will Donald Trump’s tax cut plans impact emerging markets in a big way? How much impact do you see on Indian information technology (IT) and pharma sector from visa restrictions and protectionist policies? If it happens, and Trump does what he says, it is good for the world, because it will revive many parts of the American economy. When people have more money to spend, they will do it... everyone will be better off for a while, and that is why the markets are going up. Trump says he will cut taxes and that sounds very good. But how is he going to do all this? Protectionism has never been good for anybody. No one has ever won a trade war. Every one will suffer with protectionism, and if Indians cannot go to America anymore, it may be bad for Indian companies, but it will be good for India. The smart Indians won’t be rushing to the US any more—they will stay in India and build companies. Or maybe, they will go to China or Germany—but in the end, it will be better for India than the US. Are geopolitical being risks ignored by global investors? Be it India, America or Europe—everyone is of the view that there is nothing to worry about... Interest rates going up is a big risk. Historically in the US, when the Fed raised interest rates four times, it was the end—the markets and the economy would then go down. Now, there are people who argue that it historically was correct, but it is different now as interest rates are zero; so maybe we can have a couple of interest rate hikes before the end. What are the key risks to this rally in emerging markets, particularly India? Remember, whenever markets are going up, people ignore the bad things. You can go and say that the emperor has no cloths and people don’t care. They are so happy with all the money they are making. 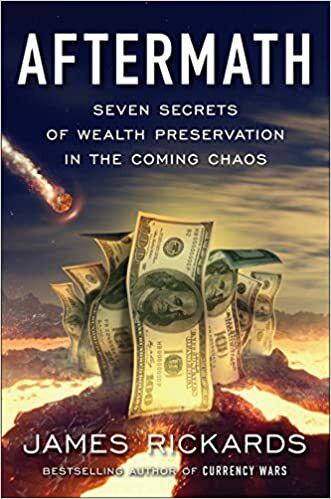 There is no question that the next time the world is going to have economic problems, it is going to be the worst that we’ve ever had since the Second World War, and a lot of people are going to be very angry. Already a lot of people are very angry—there are a lot of people who cannot get jobs, and they have been waiting angrily for what they’ve been promised. It usually takes a year or two after the markets collapse for that anger to build up—if say the markets collapse in September this year, by the September of 2019, you are going to be having a lot of very, very angry people. Which sectors in India are you overweight and underweight, and why? It depends on the prices—as I am not invested in India currently, I don’t know. But there are parts of the Indian economy that I am optimistic about for the future. Indian agriculture, Indian tourism, and these have a good future when the time comes down the round. "The sanctions are pushing the Russians and the Chinese together," warned Rogers. "When you come to Moscow or St. Petersburg airport now the Chinese are everywhere." We've been meticulously following the close relationship between China and Russia for years. You see, China and Russia are colluding to shift away from dollar- and euro-based trade and revert back to a true gold standard. "China and Russia have had enough of Western central bankers' clandestine gold price manipulation to prop up the U.S. dollar," we said in 2015, shortly after the sanctions were imposed. "Creation of a new gold market is just one way China and Russia aim to take down the U.S. dollar." And now, with the rise of Russia's economy, they are closer than ever to doing just that. If this gold-based trade expands to other large nations, it could cause a rush to safe-haven investments like the yellow metal. But the smart investors – the ones who have been watching this trend as it unfolds – will buy up shares in the gold miners. And Money Morning Executive Editor Bill Patalon – our champion stock picker and global trend expert – has identified one gold mining stock that is poised to soar as gold-based trade sweeps the globe. "If you're going to buy a 'senior miner' in the gold sector, this is the stock you want to own," said Bill. Check out the video below, where Bill shares with you how to play this "perfect storm" in gold with this stock right now. You don't want to miss this. U.S. sanctions against Russia have unexpectedly produced a number of positive consequences for Moscow, according to legendary investor Jim Rogers. You see, when former President Barack Obama instituted the sanctions back in 2014, they were designed in conjunction with Europe to punish Russian President Vladimir Putin for his annexations of Crimea and backing rebels in eastern Ukraine. "It's not the first time that history has changed by some foolish bureaucratic mistakes," said Rogers to Sputnik News on June 2. "America is shooting itself in the foot, making agriculture in Russia boom." This result is permanent and will have lasting effects on the United States, according to Rogers. "Once the farmers learn how to do it – they will continue." Indeed, agriculture has overtaken arms sales to become Russia's second-biggest export sector next to oil and gas, reported The Financial Times on April 19. In fact, Russia is now the world's biggest exporter of grains – all thanks to the U.S. sanctions, according to Rogers. "In many ways the sanctions against Russia have helped Russia. It has made Russia an agricultural boom. It is a very, very strong growth industry right now," said Rogers. "There are many unintended consequences that are good for Russia and bad for America." Russia is becoming increasingly popular with foreign investors, according to veteran US investor Jim Rogers. Russia has large potential for economic growth and many opportunities for foreign investors, who are becoming more and more interested in it, veteran US investor Jim Rogers told Sputnik. "There's… plenty of opportunities here," Rogers said on the sidelines of the St. Petersburg International Economic Forum (SPIEF), when asked if Russia had potential for economic growth. Rogers said that he was interested in investing in Russia, had already bought some bonds and stocks recently and was looking to buy more despite some economic difficulties the country has experienced. "I have learned in my life, in my investing career, that you should buy when there are problems… To find what everybody else is buying and what's popular usually doesn't make you much money… I am delighted to see the opportunities in Russia," Rogers said. According to Rogers, Russia is becoming increasingly popular with foreign investors. 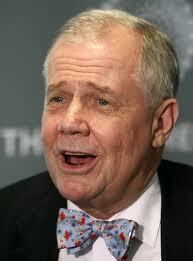 Jim Rogers is a high-profile investor and international financial commentator. 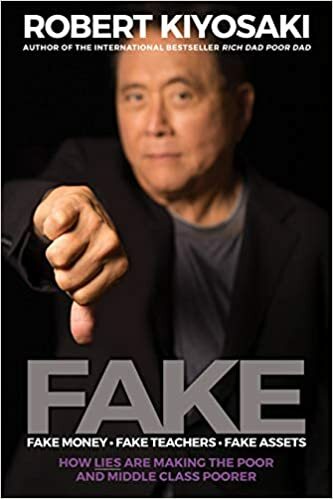 In the 1970s he founded the Quantum Fund with billionaire George Soros. Currently based in Singapore, he is the chairman of Rogers Holdings and Beeland Interests, Inc.
SPIEF, a major global platform for communication between business representatives and discussion of crucial economic issues, took place in Russia’s second largest city last week. Sputnik News Agency was the official media partner of the forum. The US government, due to its rapid changes of stance, and US Federal Reserves System, because of its excessive lowering of interest rates, are the two most worrying factors for investors at the moment, Jim Rogers told Sputnik. "The main thing that… I am wondering about is the United States government, the United States Central Bank. The United States government seems pretty confused, they keep changing their mind about things… The US Central Bank… printed staggering amounts of money, they've driven interest rates to nothing… That's an unknown for me because they don't know what they're doing. That is going to cause problems for all of us," Rogers said when asked what events or factors investors would follow most attentively in 2017. The investor added that the interest rates would eventually have to go higher. Rogers said that the impeachment of President Donald Trump seemed unlikely because the Republican party was controlling the Congress. "It is very, very unlikely that the Republicans would impeach and remove their own president," the investor said. Agriculture and tourism are the two sectors of Russian economy with the best growth potential, but there are other investment opportunities as well, Jim Rogers told Sputnik. "Agriculture has got a great future in Russia; tourism, especially Asian tourism," Rogers said when asked about potential for economic growth in Russia. The investor said that he owned shares of the Moscow Stock Exchange, Russia's flag carrier Aeroflot, chemicals company PhosAgro and was hoping to find new investment opportunities, especially in the sphere of Asian tourism, which was likely to take off. According to Rogers, a number of companies in Russia would benefit from China's One Belt One Road initiative, which aims to create a trade corridor in Eurasia that will directly supply goods from the eastern to the western part of the continent on favorable terms. Legendary investor Jim Rogers said he’s hedging away from the U.S. and Europe and looking into the Japanese, Russian and Chinese markets. “These markets are all depressed compared to history,” he told the FOX Business Network’s Maria Bartiromo. The Russian economy is getting better and sanctions have created a “whole new industry,” he said. “They’ve forced together with the Asians. Agriculture is booming because nobody can sell to them and they can’t buy from us. So their agriculture is booming. Chinese are everywhere,” he said. 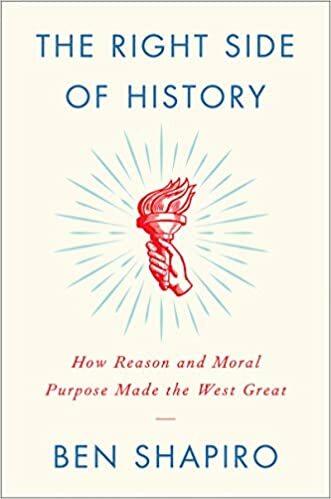 Part of the problem with not just America and many countries is that they think if you went to Oxford, Cambridge or Ivy League school you must be smart to know what you're doing. But I went to Ivy League and Oxford, they are that dumb and they dont understand the real world. Many have wondered where Jim Rogers stands in his views on Donald Trump, now President Trump. Does he support him, does he think he is leading us down the right path? Is the FED pushing American and thus the world to a financial collapse that will make 2008 look like a warm up? Jim Rogers discusses what he believes the FED is doing and what will come next.